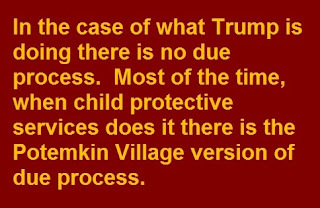 Last week, I wrote a post about the similarities – and the differences - between what the Trump Administration is doing to children at the border and the routine operations of American child protective services agencies. Well, now we can add another item to the “similarities” list. Faced with enormous public criticism of his family separation policy, Trump did the only thing he could do: He invoked horror stories; the extremely tragic – and extremely rare – cases in which undocumented immigrants killed people. He did it because it’s all he’s got. The data show that undocumented immigrants are, in fact, less likely to commit all forms of crime, less likely to commit violent crimes and less likely to commit homicide than native-born Americans. 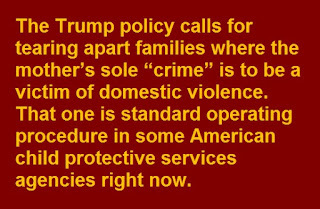 How do those urging child protective services agencies to tear apart even more families justify their demands? They invoke horror stories; the extremely tragic – and extremely rare – cases in which children “known to the system” are killed by their parents. They use these horrors to panic us into supporting the massive needless removal of children in cases that are nothing like the horror stories. They do it, of course, because it’s all they’ve got. The data show that, for the overwhelming majority of children, family preservation is not just the more humane choice, it’s also the safer choice. This isn't the first time Trump's rhetoric and that of his key advisers has borne an eerie similarity to the way those wedded to a take-the-child-and-run approach talk about child welfare. But it's the first time they all were talking about the same thing: taking children from their parents. I struggled for a long time with how to write this earlier post to this blog, about the big differences – but also the big similarities – between what Trump is doing to children at the U.S. -Mexico border and what the American child welfare system does every day. The differences: Almost everyone in U.S. child protective services means well and some of the children they take really need to be taken. The similarities: Targeting poor people and people of color, targeting children of domestic violence victims, doping up children on potent, sometimes dangerous psychiatric drugs, lack of due process. And, most important, the simple fact that, for a young child, what one professor of pediatrics called the “catastrophic” impact of separation is just as great no matter why the child was taken away. 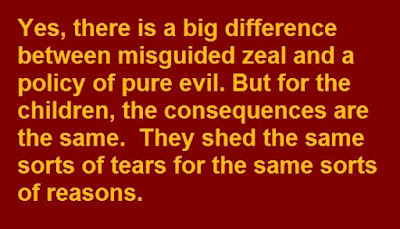 Yes, there is a big difference between misguided zeal and a policy of pure evil. But for the children, the consequences are the same. 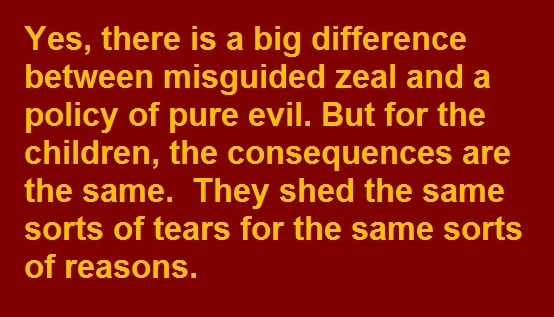 They shed the same sorts of tears for the same sorts of reasons. Perhaps I still wouldn’t have published the post had I not seen people trying to draw sharp, and false, distinctions – as in this op-ed for The New York Times written by Jeanine Cummins, a former foster parent. There is much that is good in her commentary. She writes with great empathy about the enormous trauma experienced by foster children placed in her care. Her description of that anguish is remarkably similar to what a foster parent for children taken at the border said happened to the children in her care. I tried telling her that it happens only to parents who don’t, or can’t, take care of their children. It happens only when parents aren’t doing what they’re supposed to do. I told my kids this kind of separation happens only to children whose parents don’t do the right thing. But now it’s happening to people who are behaving exactly as good parents should. … Now I understand that it’s not always merit-based, who gets to keep their kids and who doesn’t. It can be arbitrary — a matter of unlucky geography — even in 2018, even in the United States of America. My daughter was right to be afraid. The problem with that, Ms. Cummins, is that “this kind of separation” has always happened to “people who are behaving exactly as good parents should…” And it’s not just a matter of geography. It’s much more a matter of race and class. Don’t worry, dear. We’re white and we’re middle-class. They almost never take children from parents like us. DONALD TRUMP'S CHILD HOSTAGES: What Trump is doing to migrant children is nothing like what the foster-care system does – except when it is. UPDATE, JUNE 26: See also our follow-up post here and another here. ● The number of children separated from their parents at the border since April is almost equal to the number taken by U.S. child protective services (CPS) every three days. ● Yes, there are differences: The people at CPS almost always mean well. And some of the children taken by U.S. CPS agencies really needed to be taken. But many more didn’t. ● For a young child, no matter who takes him away and no matter what the reason, the trauma is the same. We inflict that trauma needlessly over and over. Now that we’re finally facing up to that needless trauma at the border, shouldn’t we face it, and stop it, wherever it occurs? The cries of the three-year-old girl filled the night. She didn’t know what she’d done wrong, but it must have been something awful – how else to explain why a big man in a uniform had just wrenched her from her mother’s arms and was carrying her away into the night? Her five-year-old brother thought the same thing: I’ve been a good boy, he said, so he should be able to go home. This didn’t happen last week at a detention center on the U.S. – Mexico border. The man in the uniform was not a Border Patrol agent. It happened many years ago in California. The man in the uniform was a sheriff’s deputy taking away children in response to what would turn out to be a false allegation of child abuse. The story of the little girl crying “I’m sorry!” is the story I used to conclude my book, Wounded Innocents. I closed with that story because the cries of that little girl were the cries of almost every young child taken from a parent, no matter where it happens, no matter why it happens. Now, suddenly, thanks to Donald J. Trump, such stories are all over the news. Now everyone, it seems, is speaking out about the horrible effects of tearing children from their parents. But people do it all the time. In fact, it happens more than 270,000 times a year. We just don’t usually notice. The number of children the Trump Administration admits to tearing from their parents at the border since April – about 2,300 – is nearly as many as the average number U.S. child protective services agencies take away from their parents every three days. But are there really parallels to what Trump is doing and to the American child welfare system? Is it fair to suggest such parallels? The answer, I think, is no. And yes. And sort-of. And sometimes. Let’s start with where any such comparison is unfair. So on one level a comparison is unfair to the people who work in child protective services agencies, to hundreds of thousands of foster parents, and even to many of the people who staff group homes and institutions. I think many of them get it wrong. But most of them are trying to do the right thing. ● The level of sheer cruelty on the part of Trump and those doing his bidding is so mind-boggling that drawing an analogy to the routine workings of child protective services in 21st Century America risks being seen, mistakenly, as minimizing what is being done to children at the border. ● The number of children who really needed to be torn from their parents by Donald Trump and those acting on his behalf is exactly zero. The number of children who need to be taken from their parents by child protective services is not zero. Even if the number of children taken away each year could be cut by two-thirds to three-quarters – and I think it could – that still would leave tens of thousands of times when child protective services agencies do the right thing when they take away a child. In those cases, even the enormous trauma of removal is less than the trauma of remaining in their own homes. 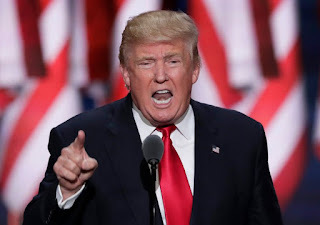 ● Some might argue that what Trump is doing is different because there is no due process for the families at the border. The children are simply seized on the spot; the family gets no hearing and no lawyer. In some cases, the children just disappear, and no one seems to know where they are. Is that identical to what happens when CPS takes a child? Of course not. But there are more parallels than people in child welfare want to admit. For starters, CPS workers and/or law enforcement can and do act like the border patrol in the sense That’s what that deputy in California did all those years ago. Yes, there’s a hearing, anywhere from a few days to a week or more later. And sometimes there is a lawyer. Occasionally, there is high-quality defense counsel and genuine due process. So sometimes, it’s very different from what’s happening at the border. But most of the time, it’s an overwhelmed, unprepared lawyer who just met her or his client in the hallway just before the hearing. Similarly, one could argue that child welfare is different because we have a law requiring child welfare agencies to make “reasonable efforts” to keep families together. But that law routinely is broken with impunity. that they can and do seize children entirely on their own authority. So here’s the difference: In the case of what Trump is doing there is no due process. 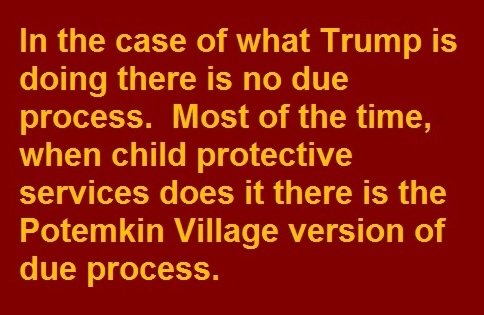 Most of the time, when child protective services does it there is the Potemkin Village version of due process. ● It’s worth remembering that the American child welfare system as we know it today actually began as an assault on immigrant families. The system is rooted not in benevolence but in bigotry. 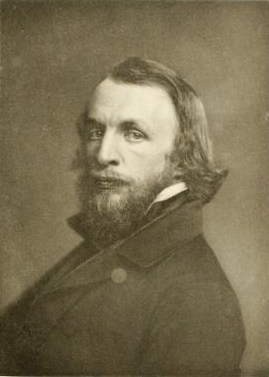 It began with the Donald Trump of his day, a 19th Century Protestant minister in New York City named Charles Loring Brace. He so hated and feared New York City’s Catholic immigrants that he set up an entire system of so-called “orphan trains” to take away their children and ship them off to farms in the south and the Midwest. Many of the children were not orphans. Some were treated little better than slaves. That didn’t stop a century ago. A successor policy with similar goals, this time involving the forced removal of Indian children for adoption by white families, lasted until the late 1960s. Even now, the federal law to prevent such abuses from happening again, the Indian Child Welfare Act, is under constant attack from latter-day successors to Charles Loring Brace. ● The parallels are not just historic. Racial bias pervades American child welfare today. That bias is compounded by the arrogance of many in child welfare who insist that their field is so special and they are so wonderful that such bias does not even exist. When a New York Times story called foster care the new “Jane Crow,” the story wasn’t talking about the Mexican border, it was discussing the system in New York City. ● Just as rich people don’t have to flee their countries on foot to reach the U.S. border, rich people are not targeted by child protective services. The system regularly confuses poverty with neglect and tears children from their mothers’ arms because those mothers are poor. It doesn’t do it with the same malicious intent, but that’s no comfort for the child. ● Among the targets of the Trump administration: migrants seeking asylum after fleeing domestic violence in their home countries. 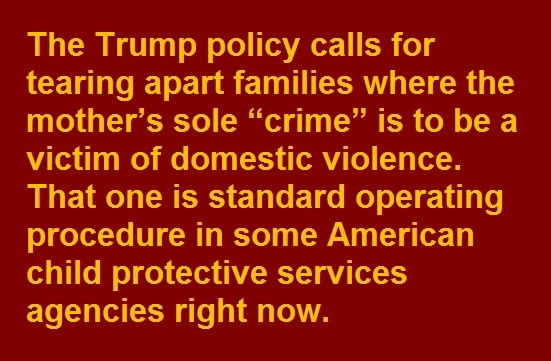 In other words, the Trump policy calls for tearing apart families where the mother’s sole “crime” is to be a victim of domestic violence. That one is standard operating procedure in some American child protective services agencies right now. It took a class-action lawsuit to curb it in one state – that leaves 49 where the children of domestic violence victims still can be fair game. Read the stories of some of the plaintiffs in that lawsuit (for which the co-counsel was NCCPR's Vice President) and see if they sound any different from the stories we’re hearing now at the border. ● The conditions in which children are held can be appalling. Think holding children in cages is unique to the current crisis? Hardly. Year, after year after year, American journalists expose hideous conditions in group homes “residential treatment centers” and other institutions used by American child protective services agencies. Sometimes, they’re even literally parked in cars. 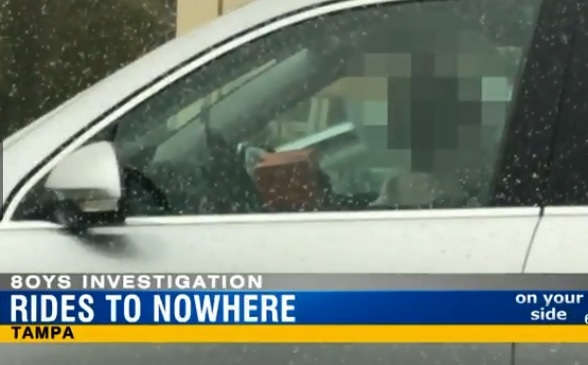 There is an entire industry of parking place shelters that actually claims it’s a good idea to place children in their institutions right after they’re removed from their homes. In an otherwise excellent story, the Associated Press declared that “…the nation’s child welfare system ended the use of orphanages over concerns about the lasting trauma to children…” But they didn’t. They’ve just been rebranded. President Donald Trump’s zero tolerance policy is creating a zombie army of children forcibly injected with medications that make them dizzy, listless, obese and even incapacitated, according to legal filings that show immigrant children in U.S. custody subdued with powerful psychiatric drugs. To the extent that any good may come from this horror it’s the simple fact that journalists may be waking up to the fact that separation of a child from a parent is an inherent trauma; period, end-of-story. This Washington Post story started out exactly the same way; but then veered off in an entirely different and far more accurate direction, describing the torment of children who were not comforted in the least by the pretty surroundings. The Times story about the child in a good foster home made the same point. Finally, it seems, we’re learning the difference between “home-like” and home. For the infant or young child suddenly taken away by a stranger, it doesn’t matter if the stranger works for child protective services, a local sheriff, or the Border Patrol. 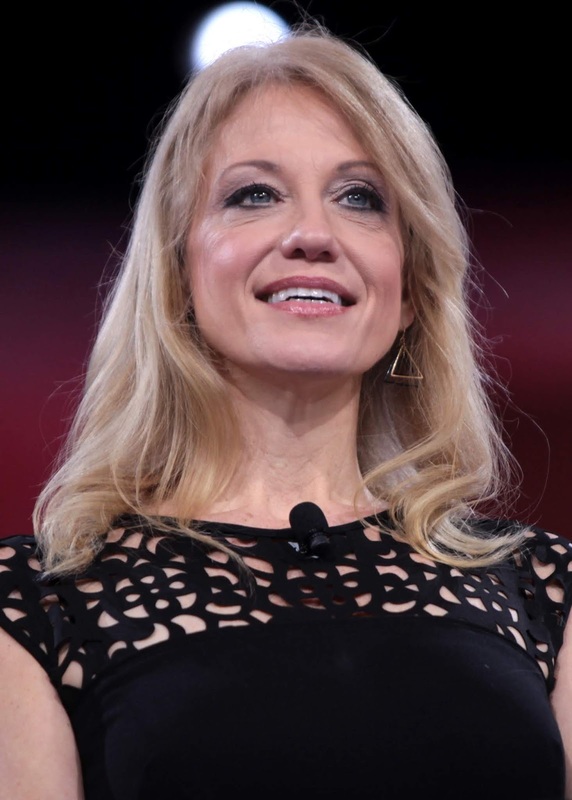 It doesn’t matter if the reason she was taken is that her mother just crossed the U.S. border after fleeing poverty and persecution abroad, or if the mother is an impoverished American citizen struggling here at home, or even, research tells us, if the mother has a drug problem. For the child, the trauma of removal is the same. Their heart rate still goes up. Their body still releases a flood of stress hormones such as cortisol and adrenaline. Those stress hormones still can start killing off dendrites. And in time the stress still can start killing off neurons and — especially in young children — wreaking dramatic and long-term damage, both psychologically and to the physical structure of the brain. In short, the effects are catastrophic. Surely if you’re going to inflict that much catastrophe on a child, you’d better be damn sure that what you’re taking the child from really is worse, and there is absolutely nothing less traumatic that you can do instead. Child protective services agencies flunk that test every day. ProPublica has published audio, smuggled out of a detention center. The children are crying for their mothers and fathers. 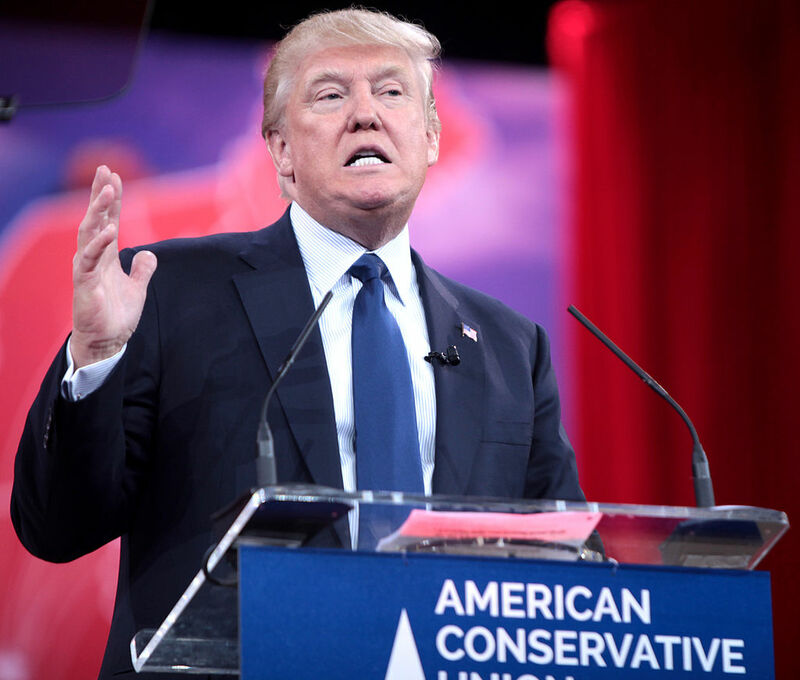 It would be ironic if it was the sheer evil of a policy enacted by Donald J. Trump that finally made us really listen – and do something about it. The likely next leader of the child welfare system in Pittsburgh co-authored an appalling defense of foster care. She’s also considering stamping a “scarlet-number” predictive analytics risk score on children at birth. like an invisible "scarlet number" that can harm a child for life. I’ve written often about the dangers of the latest fad sweeping through child welfare, “predictive analytics.” The idea is to use an algorithm to predict which parents supposedly are likely to abuse their children. Proponents say it reduces human bias. In fact, it magnifies human bias and gives it a false veneer of objectivity. It is the nuclear weapon of child welfare. So it’s no wonder that the most prominent proponents of predictive analytics also are those who are most fanatical about wanting to tear apart more families – and often those most deeply in denial about the problem of racism in child welfare. The predictive analytics cheerleading squad is led by people such as Elizabeth Bartholet and her principal disciple, Daniel Heimpel and Richard Gelles, and his principal disciple, Naomi Schafer Riley. Indeed, it is very hard to find anyone who supports this kind of computerized racial profiling who is both a real advocate of family preservation and does not run a child welfare system. For those who do run such systems, the temptation can be irresistible. That brings us to Pittsburgh and surrounding Allegheny County, Pa. That jurisdiction is the only one I know of where predictive analytics is up and running. (Similar efforts in Los Angeles and Illinois failed spectacularly.) The Pittsburgh experiment has been the subject of numerous gushy tributes from people like, well, Naomi Schaefer Riley – and one real critique, a chapter in Virginia Eubanks’ book, Automating Inequality, excerpted in Wired. In Pittsburgh, when a call alleges abuse or neglect, an algorithm known as the Allegheny Family Screening Tool (AFST) mines a vast trove of data on the accused and coughs up a “risk score” for the child. Like an invisible scarlet number, the child will wear that “risk score” for life – even if the original report on the parents was false. So when the child grows up, if she herself becomes the target of a child abuse report, that high scarlet number from her childhood will count against her, making her look like a “higher-risk” parent – because supposedly, she was at “high risk” as a child. The argument made by backers AFST boils down to this: Our system is run by really good people. Marc Cherna, the longtime director of the county Department of Human Services, has a solid track record for curbing needless foster care. He has promised to use predictive analytics only in limited and responsible ways. In other words, you can trust him with nukes. What about Cherna’s successor, and his successor’s successor? Any system that depends for success on the benevolence of a single leader with near-absolute power is too dangerous for a free society. Most of those pushing for the use of systems like AFST are nothing like Marc Cherna. On the contrary, they tend to be those most enthused about taking away more children and using algorithms to accomplish it. Cherna’s likely successor is his deputy, Erin Dalton. She runs DHS’ Office of Data Analysis, Research and Evaluation. As Eubanks reveals in her book, Dalton is the author of an email disclosing that the county is considering introducing “a second predictive model … [that] would be run on a daily or weekly basis on all babies born in Allegheny County the prior day or week.” Such a model already exists — indeed it’s one of the models the designers of AFST proposed to the county in the first place. In other words, Dalton is seriously considering a plan to stamp that scarlet number on every child in the county – at birth. Once again, the response is assurances that, were this to happen, it would only be used to target prevention, not removal. But now there is new reason to question such reassurances, and, indeed, any confidence that Dalton will act with restraint. While I certainly wouldn’t call her enthusiastic about taking away children, she recently has shown herself to be far too sanguine about the harmful effects of child removal. That is clear from a commentary she co-authored for the journal Pediatrics. The commentary puts her firmly in the camp of foster-care apologists, the people who desperately look for scholarly straws to grasp in order to refute the mountain of evidence that foster care often does enormous harm to the children it is meant to help. I expect this from Naomi Schaefer Riley. I did not expect it from Erin Dalton. Dalton’s bizarre commentary is an attack on an innocuous little study. The study demonstrated that teenage mothers who give birth while already in foster care are far more likely to have the infants taken from them than teenage mothers who are not in foster care. 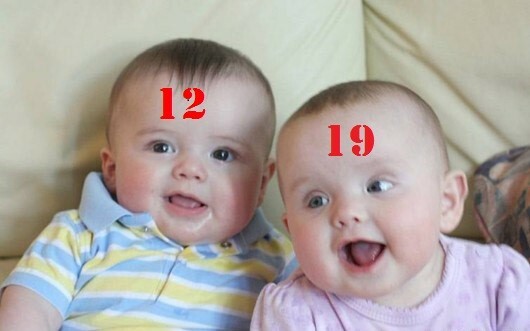 Half the teen mothers in foster care had their own children placed by age two. Dalton & Co. have several complaints about the study. The study looked at just one jurisdiction and it’s in Canada, no less – the province of Manitoba - so it may not be representative. Many of the children were taken at birth, they write, so maybe they were placed in the same foster home as their mothers. But the authors of the study believe this was the case for only “a few” of the children – and the gaps they found in placement rates persist all the way to age 2. The outcome measure selected for this study (placement of the infant into foster care) is not the most important outcome for children and young mothers. Avoiding unnecessary foster care placement is a worthy goal, but placement of an infant, a young child, or an adolescent mother in foster care is not a bad outcome per se. That is dangerously wrong. Foster care is, in fact, a bad outcome per se, and everyone in child welfare is supposed to know it. Foster care may, in some limited circumstances, be a less bad outcome than leaving the child in her or his own home. For that very reason, there are a limited number of cases in which foster care placement is essential. But it is still a bad outcome. As I discussed in my previous post about foster care apologists, foster care sometimes may be the least detrimental alternative – a concept that should, by now, be Social Work 101. The fact that a child welfare leader who has child welfare’s equivalent of the nuclear codes doesn’t get this is deeply disturbing. And it gets worse. Like Riley, Dalton and her colleagues desperately seek something to refute the massive, comprehensive studies showing that in typical cases, children left in their own homes fare better even than comparably-maltreated children placed in foster care. The studies, by MIT Professor Joseph Doyle, looked at what actually happened to more than 15,000 children, following them all the way into their late teen years and sometimes into young adulthood. The authors of several longitudinal studies suggest that under certain circumstances, foster care may result in better long-term outcomes than the outcomes of remaining with biological parents. Leaving aside the use of the demeaning, dehumanizing term “biological parents” – suggesting people who are no more important to a child than a test tube, and leaving aside the fact that three studies barely qualify as “several” – the “longitudinal studies” cited are extremely weak. As with the studies cited by Riley they depend not on what actually happened to the young people, as the Doyle studies do, but on subjective evaluations of children’s behavior, including evaluations by caretakers – creating significant potential for bias, or simply honest error. Another study, again using subjective evaluations, involved only 30 children – from Israel. So now a study from Israel is cited by the same people who question the validity of relying on a study from Canada. The third study also was a subjective assessment. It appears that the assessment took place only once, so it is unclear whether this study was “longitudinal” at all. This study found that “maltreated children who remain with their birth parents have mental health problems at the same rate as maltreated children who are placed.” [Emphasis added.] Not exactly a ringing endorsement of foster care. 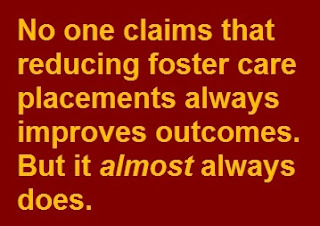 The assumption that reducing foster care placements always improves outcomes is not necessarily true and may be used to support policies that are not in the best interests of children. No one claims that reducing foster care placements always improves outcomes. But it almost always And that makes it entirely reasonable to worry that outcomes are worse for children of teen mothers when those children are placed in foster care. As for “policies that are not in the best interests of children” what policies exactly do Dalton and her coauthors have in mind? They never say. 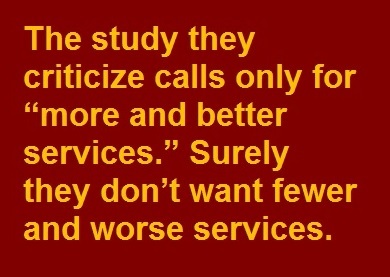 The study they criticize calls only for “more and better services.” Surely they don’t want fewer and worse services. And the very use of the phrase “best interests of the children” is another indication that child welfare in general and an agency Dalton is likely to run in particular are not ready for something as powerful and easy to misuse as predictive analytics. 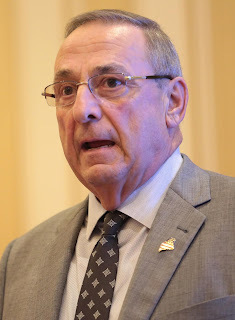 I discuss why this seemingly benevolent and inarguable phrase is so harmful in this post, dealing with Maine’s governor, Paul LePage a kind of Donald Trump mini-me. Suffice it to say here that it is a phrase filled with hubris. It gives free reign to the biases of middle-class professionals – and the algorithms they create. The alternative construct, least detrimental alternative, was suggested in part for that very reason. I expect no better from Paul LePage. I used to expect far better from the system in Allegheny County, Pa. 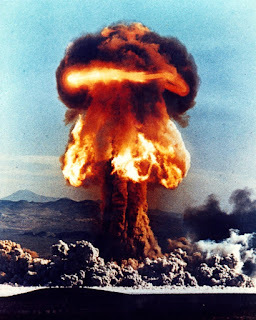 The nuclear weapon of predictive analytics is far too dangerous to entrust to the field of child welfare. What we need to demand from child welfare is irreversible, verifiable denuclearization. Although Maine child welfare is careening full-speed backwards, Maine journalism about child welfare, fortunately, is not. 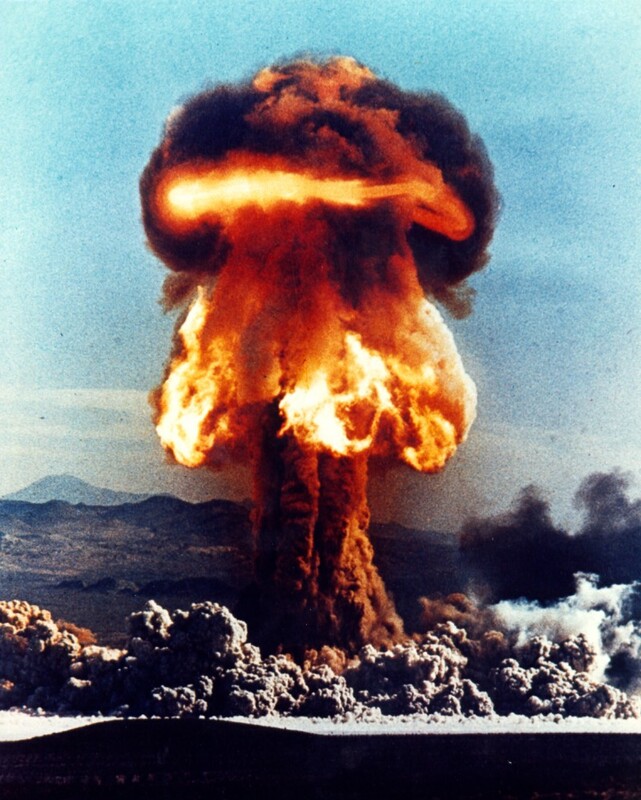 The editorial response to the bad ideas spewing forth from Gov. Paul “Trump-Before-Trump” LePage shows the same prudence and open-mindedness that helped reform child welfare in Maine after Logan Marr died. 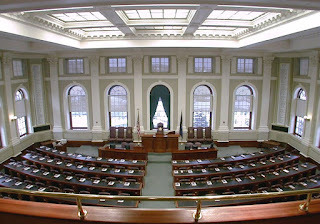 On June 1, for example, The Bangor Daily News called LePage’s solutions “heavy handed and overly punitive.” The editorial wisely urged rejection of LePage’s idea to impose criminal penalties on mandated reporters who don’t report their suspicions of abuse and neglect. The focus on family reunification came after the 2001 death of 5-year-old Logan Marr, who was suffocated by her foster mother, Sally Schofield, who prosecutors said wrapped 42 feet of duct tape around the girl’s head, suffocating her. Rather than rewrite the statute, it may be more effective to put measures in place to ensure that DHHS follows this directive. For example, whistleblowers have reported that some caseworkers are so intent on reunited a child with her parents that they are willing to overlook risk factors, like drug abuse. Changing this does not require a change of law; instead better training and support can change this practice. ● Drug abuse sometimes is indeed a “risk factor” – but it is not cause for automatic confiscation of the child. This is discussed in detail in this NCCPR column for the trade journal Youth Today. The workers criticized by the “whistleblowers” may not be overlooking drug abuse or other risk factors, they may simply be weighing those risks against the enormous known risks of needless foster care, and reaching a conclusion the “whistleblowers” don’t happen to agree with. Sometimes, as they attempt to balance the risks, the workers will get it wrong – in both directions. Assuming that the errors go only one way only increases the risk of harm to all vulnerable children. ● It’s a lot easier for white, middle-class professionals to “blow the whistle” than it is for those whose children have been needlessly taken – since they are overwhelmingly poor and disproportionately nonwhite. There are plenty of poor people who would love to blow the whistle on how their children were needlessly taken, but they don’t know how to pull together documents and speak to reporters. And if their cases are still pending they often fear retaliation by DHHS. Occasionally, you get a whistleblower who has both professional status and insight into wrongful removal. Someone such as former Maine foster parent Mary Callahan, who led efforts to improve Maine child welfare after Logan Marr died. Here’s how she blew the whistle. And on those rare occasions when the long arm of DHHS reaches into the middle-class, those parents can blow the whistle. This recent example is especially worth reading in light of the fact that one of those who shares responsibility for this family’s pain also was a leading campaigner against the reforms that followed the death of Logan Marr. So what happens when anecdotes – and the experiences of whistleblowers – collide? That’s when it’s time to look at the data. As is explained in detail in this previous post, the data show that when Maine embraced family preservation it made children safer. And the data from around the country show that the LePage take-the-child-and-run approach (whether it involves changing laws or “putting measures into place” at the administrative level) makes children less safe. ● And finally, no one has to tell DHHS to put “measures into place” to take away more children. I’ll bet it’s already underway – with a vengeance. Maine almost certainly is in the midst of a foster-care panic, a sharp, sudden increase in the number of children taken needlessly from their homes in the wake of a high-profile tragedy. Of course that’s not what the editorial suggested should happen. 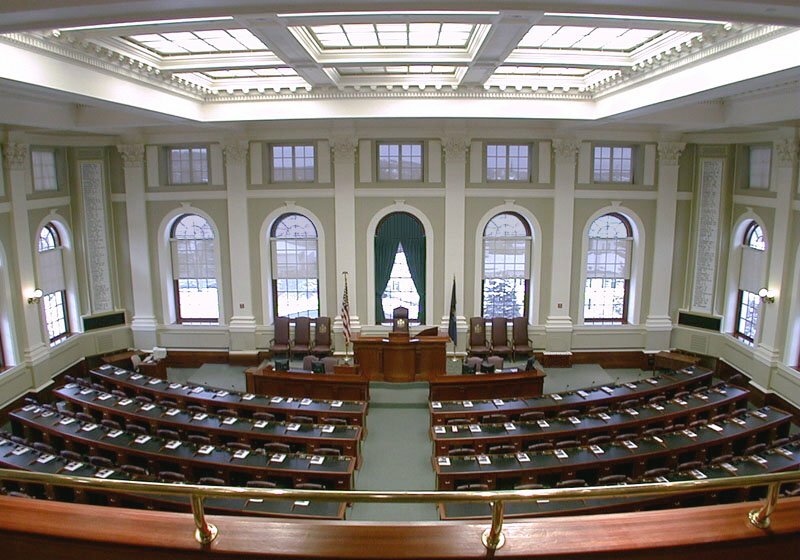 On the contrary, the Bangor Daily News and other Maine newspaper editorials have gone out of their way to avoid pouring gasoline onto the fire of foster-care panic. That’s a good start, but more is needed. Someone claiming that there exists a “practice” of ignoring “risk factors” doesn’t make it so. Far more likely, overloaded workers don’t have time to consider those risk factors properly – so they’re making more mistakes in all directions, taking more children needlessly while leaving other children in danger in their own homes. Indeed, were DHHS actually to provide “better training and support” as the editorial suggests, it would result in fewer removals of children and more emphasis on family preservation – since that’s what makes children safer. But obviously DHHS can’t be counted on to do that. And that’s why even more is needed from the state’s most influential journalists. Refusing to pour gasoline on the fire is a good start, indeed it’s far better than the performance of journalists in many other states. But what would really help is for people with influence to pour water on those flames - that is, demand a stop to the foster-care panic. I hope they’ll do it before more children get hurt.